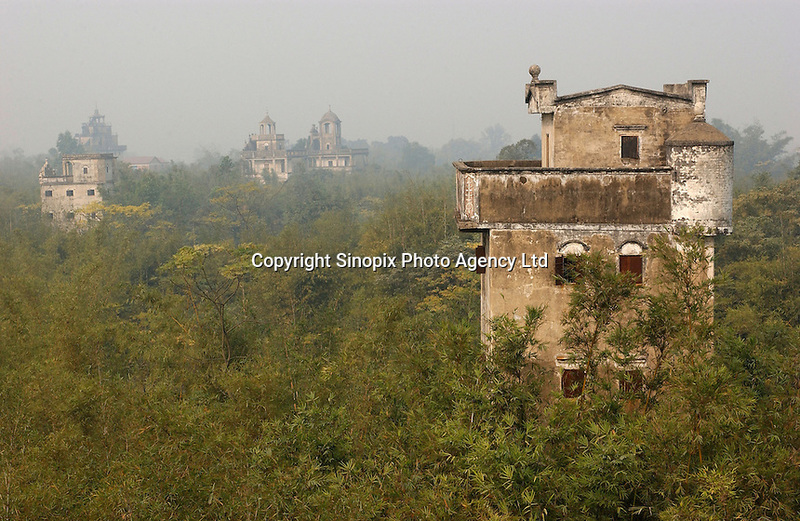 Ma Jiang Long town near Kaiping city in Guangdong Province, China. The European style "towers" and mansions were built by.... overseas Chinese returning with architectural ideas from America and Europe. The area is .one of the World Heritage Site..